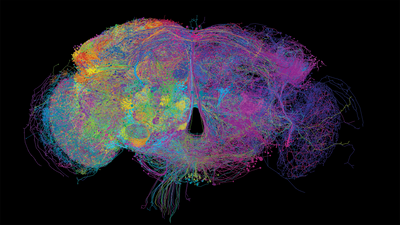 SNAPSHOT: A map of the entire fruit-fly brain details the positions and connections of roughly 100,000 neurons. 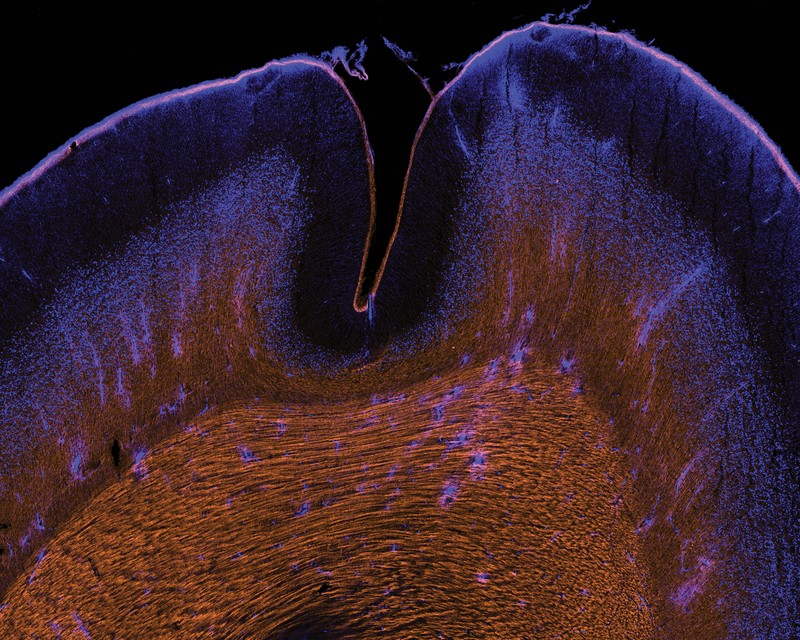 HIDE AND SEEK: Scientists reported this year that the subplate, a predominant layer (bright blue region above the orange cells) of the developing brain, does not disappear in adults, as previously thought. 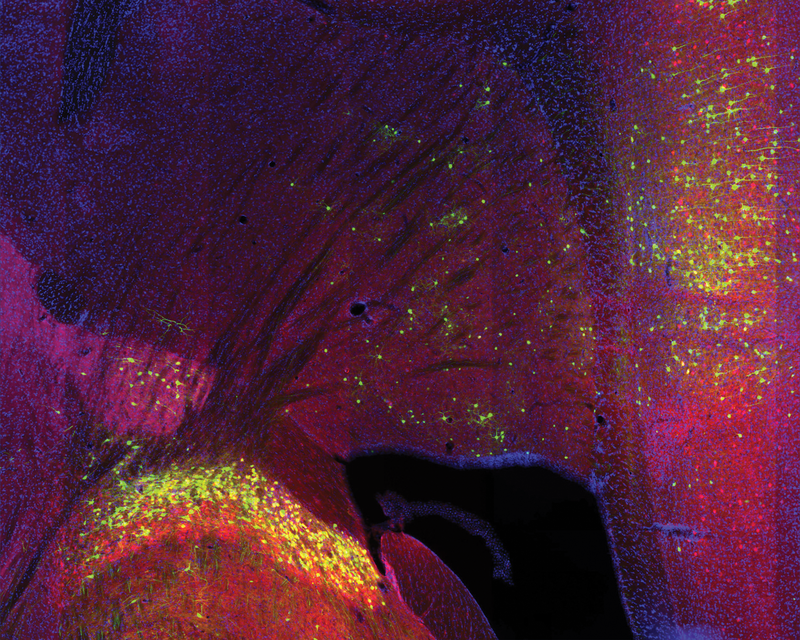 THE FIVE PERCENT: A recently published map of neural networks in the striatum (green dots in center) of the mouse brain reveals previously underappreciated connections. 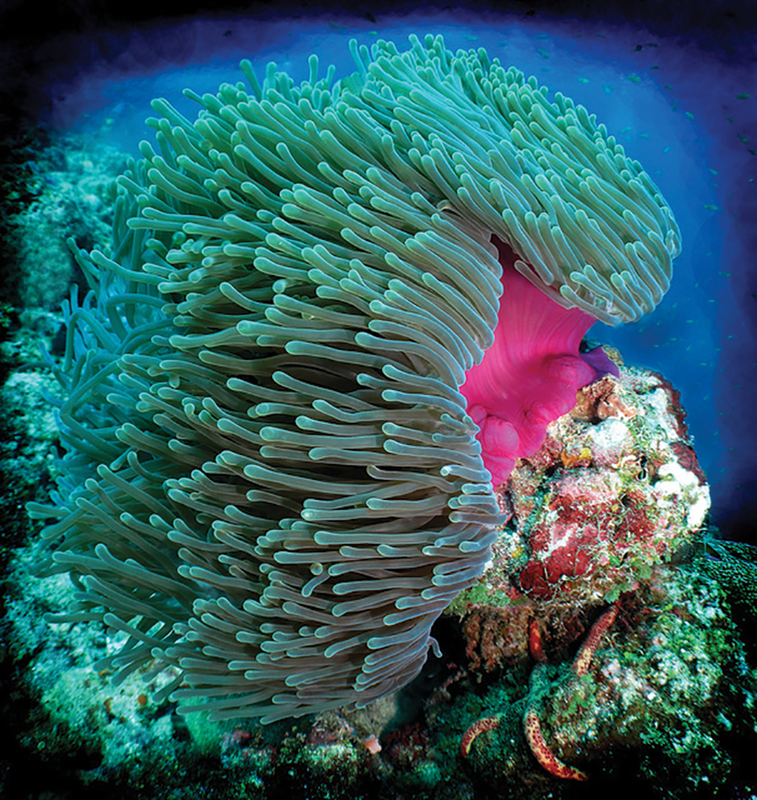 OCEAN WONDER: Synthetic molecules similar to those produced by sea anemones, such as this Heteractis magnifica, are neuroprotective in a mouse cell model of Alzheimer’s disease. 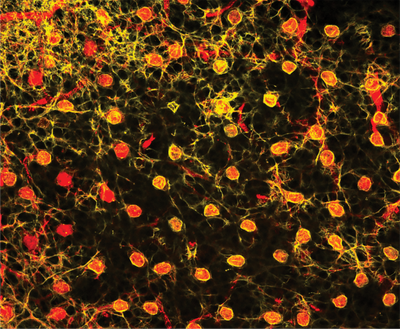 THROW THE SWITCH: A computer model of the mouse retina can predict the consequences of altering the function of neurons, such as these horizontal cells. 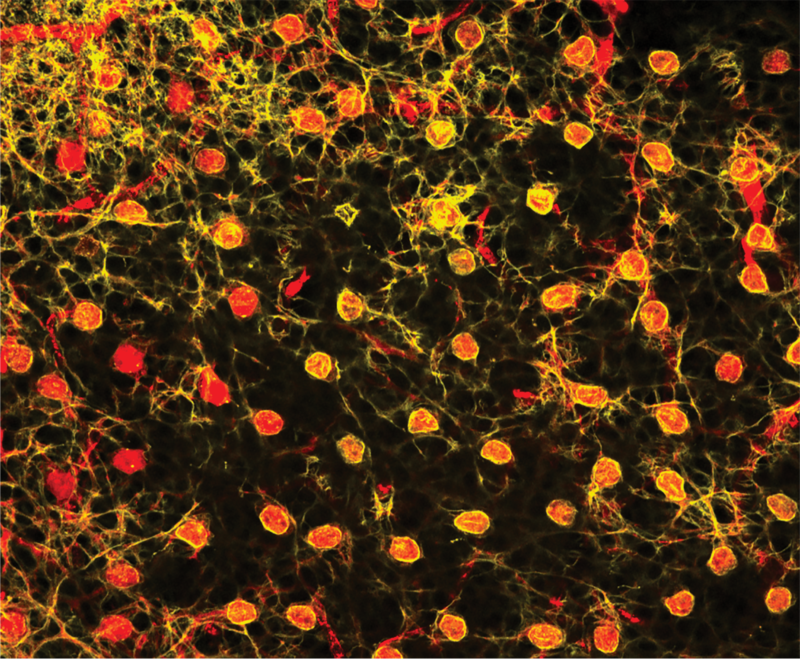 A. Drinnernberg et al., Neuron, doi:10.1016/j.neuron.2018.06.001, 2018. 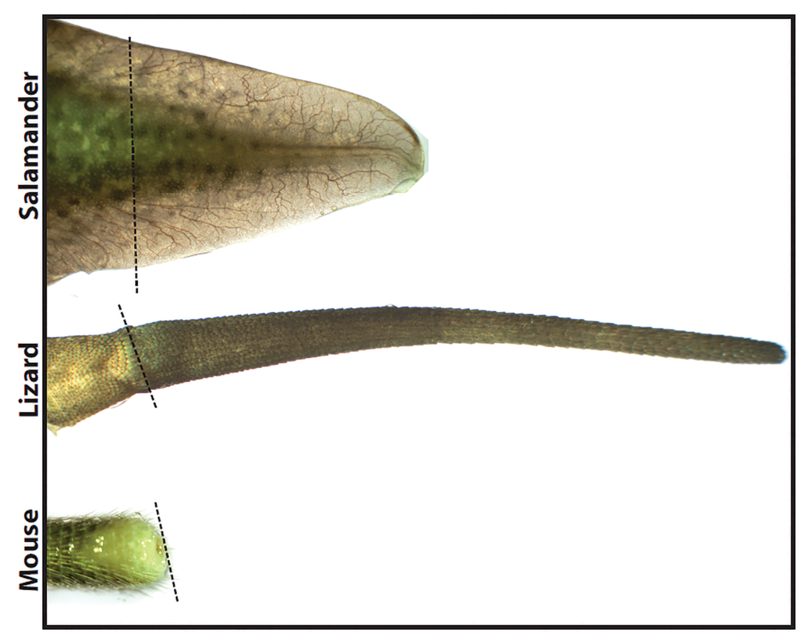 REVIVAL: The varying regenerative properties of amphibian, reptile, and mammal tails result from differences in neural stem cells found in the animals' spinal cords, according to a recent study.